the person is aware of it or not." 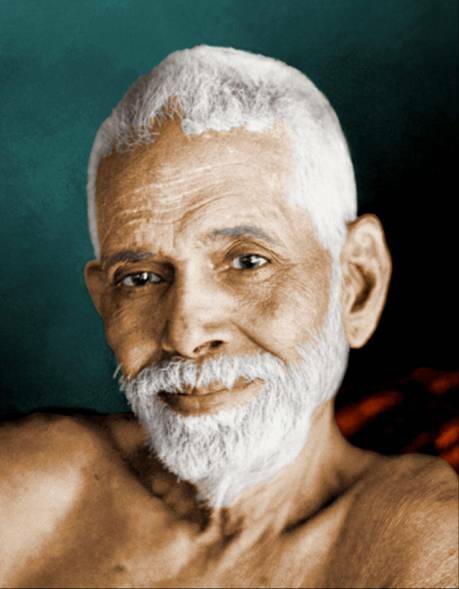 •Ramana developed cancer and when his devotees voiced concern about losing him, he responded with the statement “above." 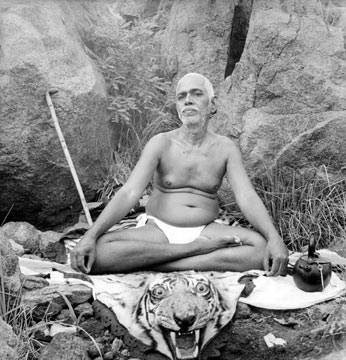 He died in April, 1950, sitting in lotus position. The final word that passed from his lips was the sacred syllable OM. 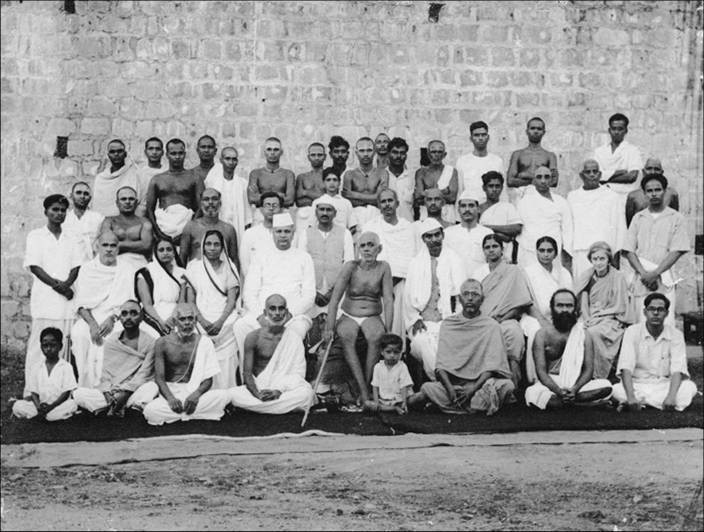 •The French photographer Cartier-Bresson was visiting Ramana's ashram as Ramana neared death. He noted the following astronomical event which appeared in the night sky over the sacred mountain Arunachala as Ramana died: •I saw a shooting star with a luminous tail unlike any I had ever seen before moving slowly across the sky and reaching the top of Arunachala, the mountain, disappearing behind it. We immediately looked at our watches. It was 8:47. We raced to the ashram only to find that the master had passed in to Mahanirvana at that exact minute. 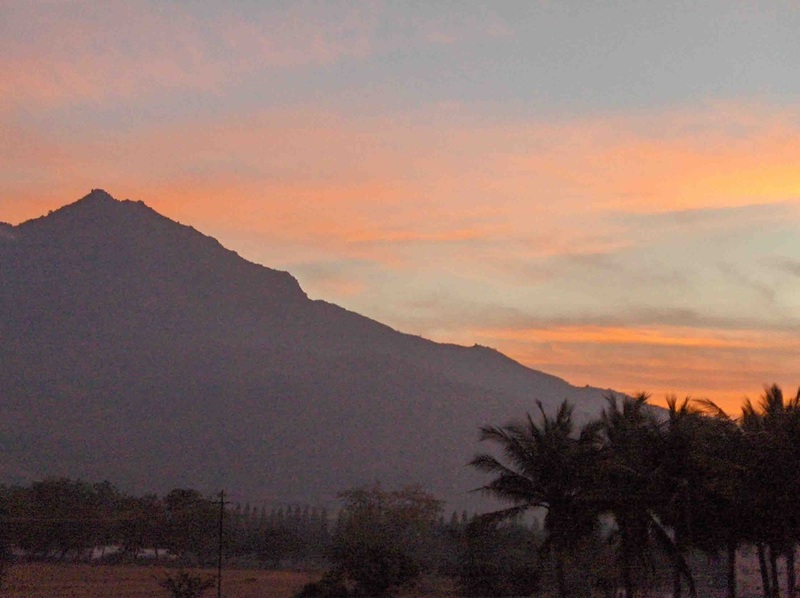 Nor was this experience only documented by a select few … All the English and Tamil papers which arrived this morning from Madras referred to the meteor which had been seen in the sky over the entire state of Madras at 8:47 on the night of April 14 by a large number of people in different places. These eyewitnesses had been struck by its peculiar look and behavior. 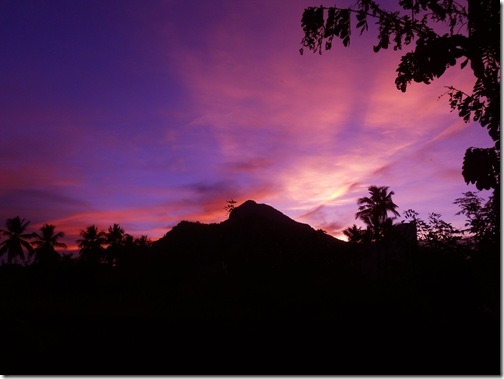 Ramana who often circumambulated the sacred mountain as an act of worship seemed to be making his final arc around the mountain as a blazing light in the night sky. 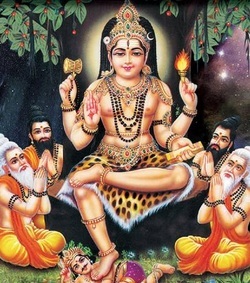 dakshiNamurthy dhyAna Slokam: The leg pressing over a demon, on the top of which the Embodiment of merits is sitting with one leg folded, the one who teaches difficult words (vedas) with ease, the sages enjoying (the teachings, sitting) on ground, with the (hand) posture of explaining, a fire pot, book and akshamAla in the four hands, Who trembles away my ignorance, to That dakshiNAmUrti (salutations). 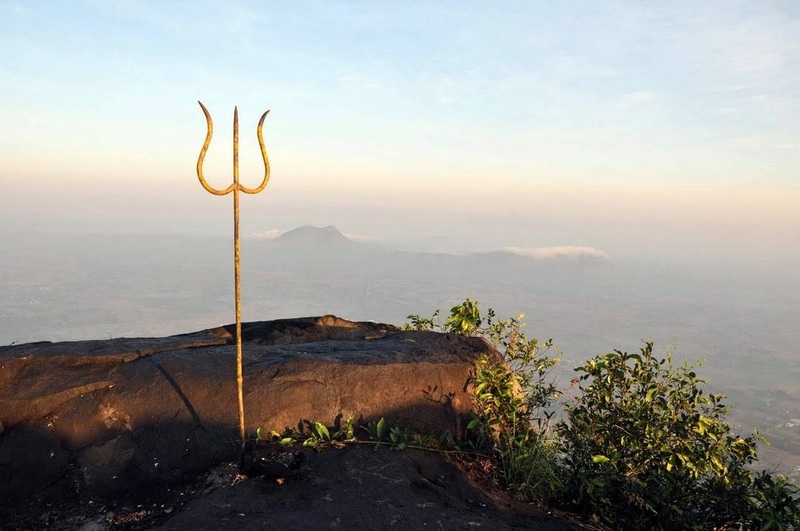 The four sons, of brahmA, sanaka, sanandana, sanAtana, sanat kumAra did austere tapas and analysis, but they were unclear of the Supreme Truth. 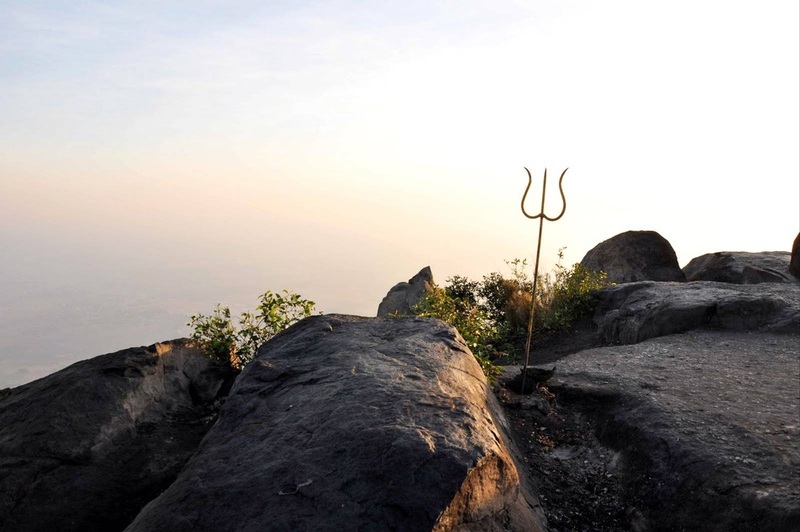 They finally decided to come to Lord Shiva to get the knowledge of the Truth. 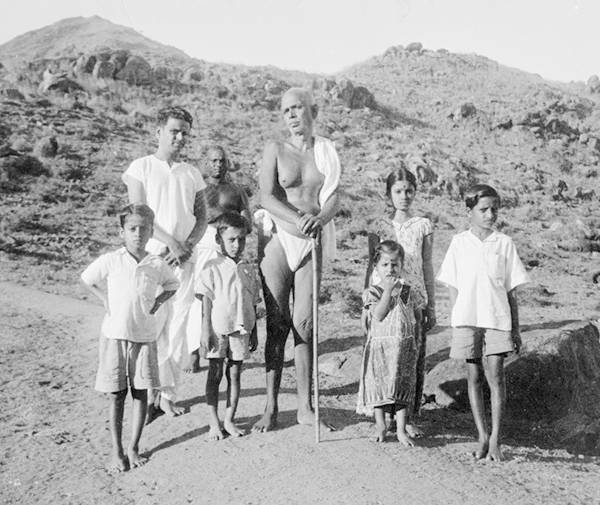 The Lord sat under the banyan tree, and the four sages also sat down around Him. 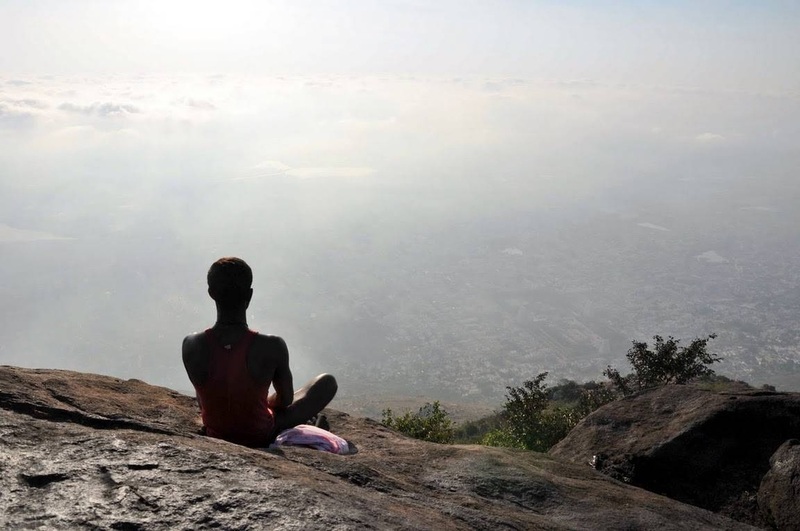 Lord stayed in the yOga posture without saying a single word. 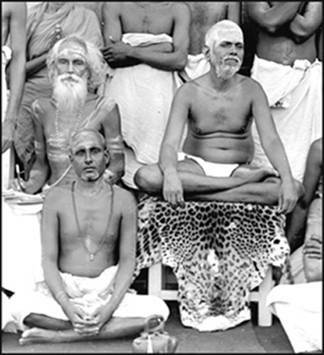 The four sages got all their doubts cleared just by that posture. 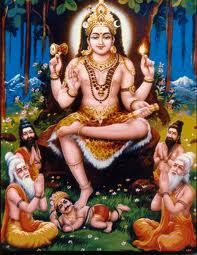 The form in which God appeared as a Supreme Guide is the form of wisdom dakshiNAmUrti.